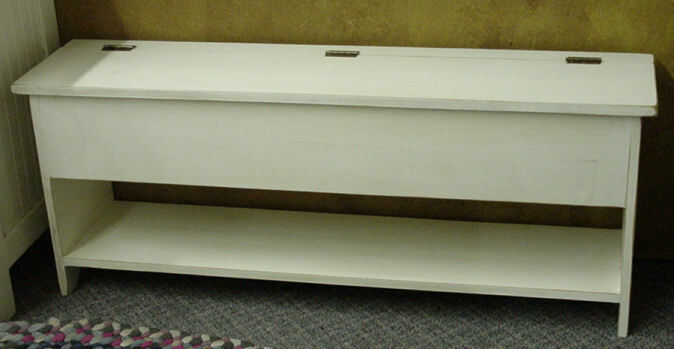 This bench gives you storage, plus a shelf. It is made so that you can put it right up against the wall and still open the top. Like everything else it can be custom made to your dimensions and color. We can make it this just the way you want it.